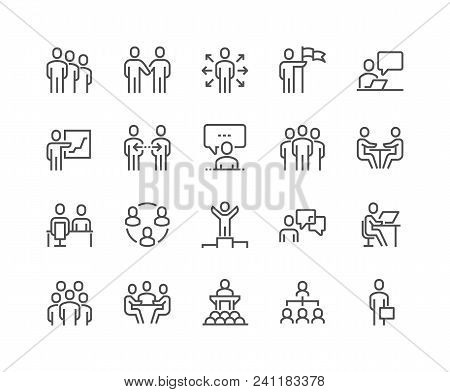 Simple Set of Business People Related Vector Line Icons. Contains such Icons as One-on-One Meeting, Workplace, Business Communication, Team Structure and more. Editable Stroke. 48x48 Pixel Perfect.